Adobo is a signature dish in Filipino cooking, and many might say that it’s the “national dish” of the Philippines. While the Philippine adobo can be considered adobo in the Spanish sense—a marinated dish— the Philippine usage is much more specific to a cooking process (rather than a specific recipe). It has been getting some international attention during the past few years, with Sam Sifton, a New York Times food critic, even saying that “Whether consumed in Manila’s heat or on the edge of a New York winter, adobo holds the power to change moods and alter dining habits … As a result there is great fun to be had in asking Filipinos how to make adobo, particularly when they are in groups.” And this is exactly what we want to do this Sunday, March 1, 2015! Sama-sama Sa Lund wants to invite you to another session of the Filipino-Swedish Cafe, a series of Filipino-Swedish cooking workshops, as part of SSL’s Integration Project. 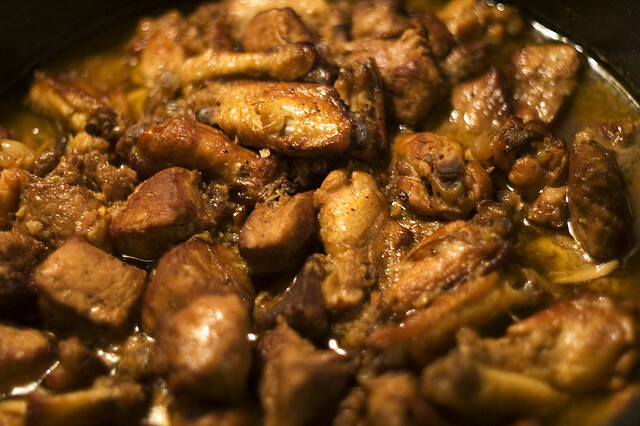 There are numerous variants of the adobo recipe, and on Sunday we plan to try out one of those! BUT.. it wouldn’t be a Filipino-Swedish Cafe session without a Swedish twist, would it? Although there is probably no direct Swedish equivalent of the Filipino adobo, we will try to make something quite close– the swedish kalops! Do you think it’s close enough? Let the tastebuds decide on Sunday! Same place, same time! Trollebergsvägen 2 Lund, 13:00 – 16:00. Like the past cooking sessions, only 10 slots are available. Just leave a message here (or on our Facebook page) if you are interested. First to sign-up, first served. And of course, as usual, this is free of charge! 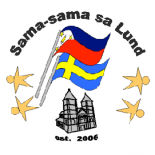 This entry was posted on February 24, 2015 by Sama-sama Sa Lund in Filipino-Swedish Cafe, Food, Integration and tagged adobo, cooking, filipino, filipino food, Lund, pinoy, pinoy food, sweden.